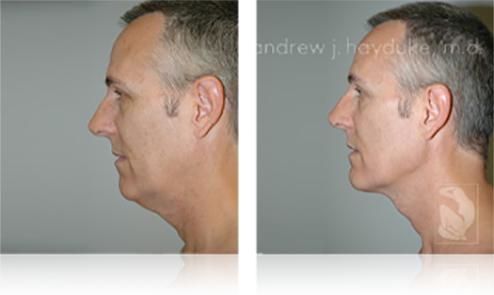 Liposculpture under the chin/neck. 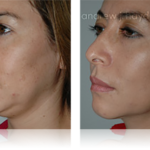 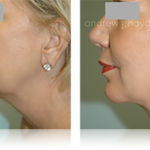 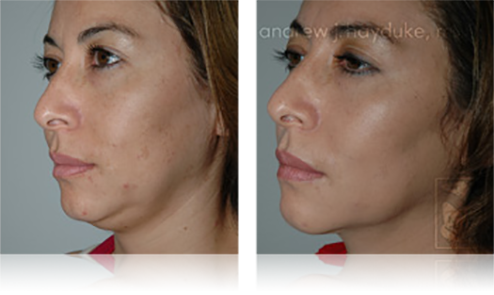 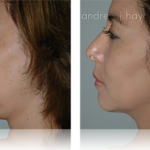 32 year old client who presented with a stubborn area of fat under the chin that was resistant to both diet and exercise. 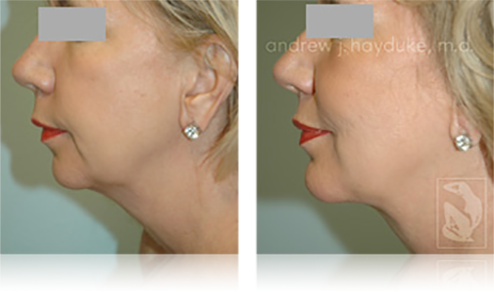 She is in the "normal range" according to the Body Mass Index (BMI) chart. 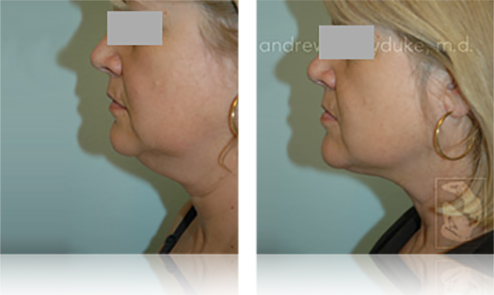 She was very pleased with her liposculpture result. 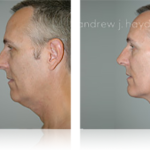 Liposculpture of the male love handle (lower back) region. 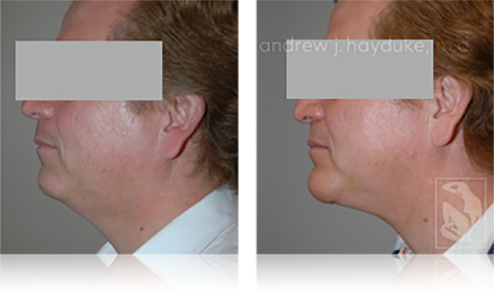 This 33 year old male eats right and works out multiple times per week at a Los Angeles gym. 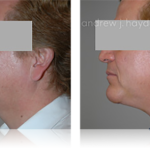 He was bothered by a resistant area of bulging fat in the love handle region, despite extensive diet and exercise. 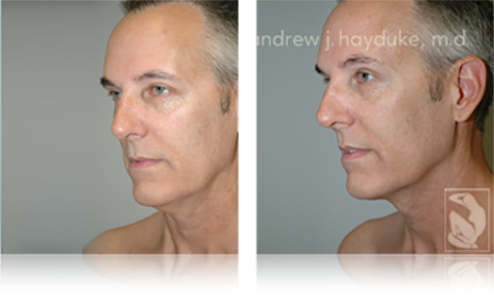 Liposculpture helped achieve the more sculpted "in shape" look he was after. 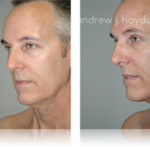 He said that his only regret was that he didn't do it sooner. 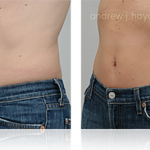 Appearance in exact same pair of jeans after liposculpture of lower abdomen in a young female. 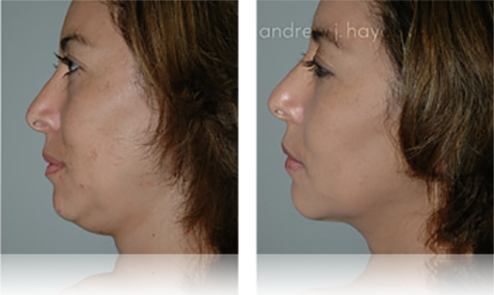 She was in the normal range of Body Mass Index (BMI) both before and after liposculpture. 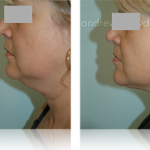 Note the more attractive appearance after liposculpture and how she seems to fit the exact same pair of jeans much better. 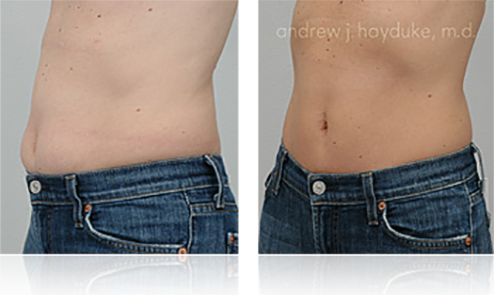 Liposculpture of abdomen. 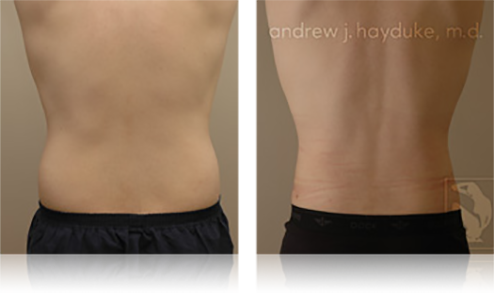 Note appearance of lower abdomen before liposculpture (with markings in place) and after liposculpture while client is in a seated position. 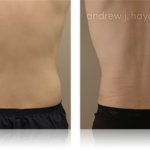 Client is young and in the normal range of Body Mass Index (BMI) both before and after lipo.